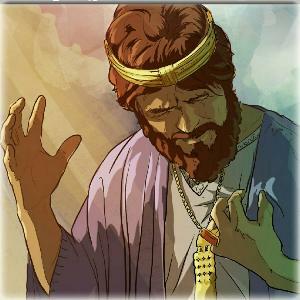 "Then they came to Capernaum, and on the sabbath he entered the synagogue and taught. 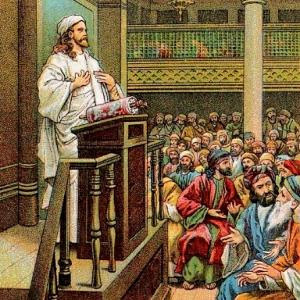 The people were astonished at his teaching, for he taught them as one having authority and not as the scribes.......“What is this? A new teaching with authority. (Mark 1: 21 - 22, 27). Yes indeed. 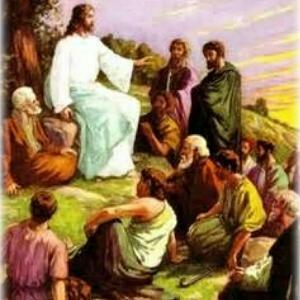 Jesus taught with authority. He is still teaching today with authority through the Church. It is ridiculous for Jesus to found a Church without giving the Church real authority to teach. "Whoever listens to you listens to me. Whoever rejects you rejects me. And whoever rejects me rejects the one who sent me.” (Luke 10: 16). Like the 3-legged stool, each of the legs need each other to support the superstructure. The teachings of the Magisterium cannot contradict Sacred Scriptures or Sacred Tradition and vice-versa. "I will raise up for them a prophet like you from among their kindred, and will put my words into the mouth of the prophet; the prophet shall tell them all that I command. Anyone who will not listen to my words which the prophet speaks in my name, I myself will hold accountable for it. But if a prophet presumes to speak a word in my name that I have not commanded, or speaks in the name of other gods, that prophet shall die." (Deuteronomy 18: 18 - 20). You may call this the legal code that establishes Authority in the future, Qahal, Ecclessia or Church. It can never be exaggerated that Authority is at the core of the life of the Church. "What is this? A new teaching with authority?" (Mark 1: 27). Actually not a new teaching. The same teaching from the Rabbi Moses. The word of God! 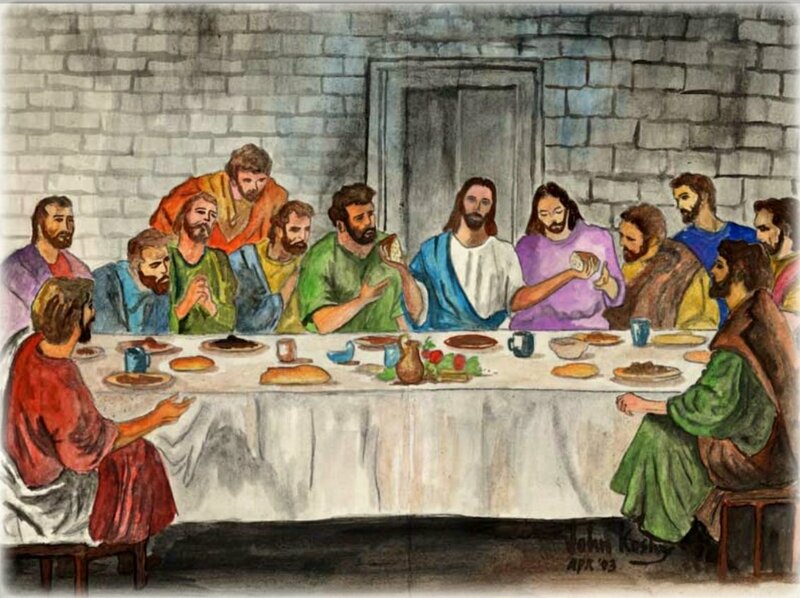 12 I thank Christ Jesus our Lord, who has given me strength, that he considered me trustworthy, appointing me to his service. 13 Even though I was once a blasphemer and a persecutor and a violent man, I was shown mercy because I acted in ignorance and unbelief. 14 The grace of our Lord was poured out on me abundantly, along with the faith and love that are in Christ Jesus. 15 Here is a trustworthy saying that deserves full acceptance: Christ Jesus came into the world to save sinners—of whom I am the worst. 16 But for that very reason I was shown mercy so that in me, the worst of sinners, Christ Jesus might display his immense patience as an example for those who would believe in him and receive eternal life. 17 Now to the King eternal, immortal, invisible, the only God, be honor and glory for ever and ever. Amen. 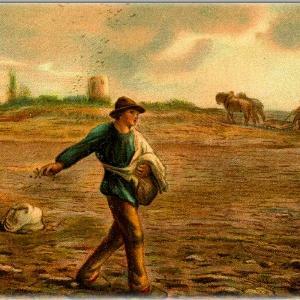 The lure of riches: Why are we tempted to acquire more riches than we need? #1 Lack of faith that God will provide our necessities when we need them. #2 We hoard riches in order to beat the the designs of God's Providence. God's gracious will is that there will be times and seasons in life for all creation. This Order in Creation, that is, Times and Seasons is threatening to many people. They would like to change it. If they can, the world will have only spring time, always sunny, always full heath, purse always full of gold coins, etc, etc. This is ridiculous. A man may have all the money in the world and store up all the food and drinks he can, but illness that is beyond his control will prevent him from enjoying that food. So we see that Divine Providence is always in control. "I have seen something else under the sun: The race is not to the swift or the battle to the strong, nor does food come to the wise or wealth to the brilliant or favor to the learned; but time and chance happen to them all." (Ecclesiastes 9: 11). Today is Monday, 22nd January 2018, 3rd Week in Ordinary Time. Today is the beginning of the Week of Prayer by all Churches for Christian Unity. Today is also the Day of Prayer for the Protection of human life, especially Unborn Children. Is there any connection between Christian Unity and Protection of human life? The key Scripture for today warns that "If a kingdom is divided against itself, that kingdom cannot stand." (Mark 3: 24). The splinters of the Church in the 16th century brought about a worldview that gave birth to abortion and sexual license. Families are divided against themselves, churches against churches, political parties against political parties. If the Church is one as intended by her Founder Jesus Christ, don't you think that a unified strong voice proclaiming the Good News and shining the Light of Christ on the world will be more effective? Pray for Christian Unity. Pray for protection of human life. "Our Savior Jesus Christ has destroyed death and brought life to light through the Gospel." (Cf 2 Timothy 1: 10).